McDonald’s Corporation has said that it has dropped a Minnesota-based egg supplier after an animal rights group released an undercover video of operations at the egg producer’s farms in three US states. The video by Mercy for Animals shows what the group calls animal cruelty at five Sparboe Farms facilities in Iowa, Minnesota and Colorado. Its images include a worker swinging a bird around by its feet, hens packed into cramped cages, male chicks being tossed into plastic bags to suffocate and workers cutting off the tips of chick’s beaks. “The behavior on tape is disturbing and completely unacceptable. McDonald’s wants to assure our customers that we demand humane treatment of animals by our suppliers,” Bob Langert, McDonald’s vice president for sustainability, said in a statement. Sparboe Companies LLC issued a statement calling the video “shocking” and saying an internal investigation identified four employees “who were complicit in this disturbing activity” and were fired this month. Sparboe, which is headquartered in Litchfield, also said on the website that it has made management changes, taken corrective actions sought by the FDA, and begun retraining all barn workers in proper animal care procedures. Sparboe spokesman Lyle Orwig said yesterday that the company has a “zero tolerance policy” for any animal abuse or cruelty. He said all employees are trained by a veterinarian and work with a crew leader who also has been trained. “If he (the crew leader) sees anything, he would automatically correct it if he sees someone doing something wrong,” Orwig said. Oak Brook, Illinois-based McDonald’s said the “most alarming actions on video” didn’t happen at Sparboe’s facility in Vincent, Iowa, which supplied its restaurants, but they violated the standards the company sets for its suppliers. McDonald’s also insisted the food it serves is safe. 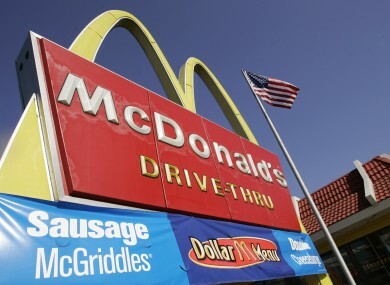 McDonald’s said it got Sparboe eggs via Cargill Inc., which said it was suspending Sparboe as a supplier. Tim Loesch, a spokesman for Wayzata-based Cargill, declined to say how many eggs Sparboe supplied it or how much the company was paid. Orwig said it was too soon to tell what effect the loss of McDonald’s business would be. “Right now our focus is making sure that we are compliant with everything and get to the bottom of how it could have happened,” Orwig said. Mercy for Animals isn’t satisfied with McDonald’s decision to stop accepting eggs from Sparboe, said Matt Rice, the group’s director of operations. McDonald’s said it is participating in a three-year study that compares traditional versus cage-free hen housing systems, but Rice said the company continues to get most of its eggs from hens in battery cages that hold a lot of birds in cramped conditions. “McDonald’s is simply sidestepping the issue now. It’s time McDonald’s requires all of its suppliers to un-cage hens and finally give these animals the basic freedom to spread their wings, to walk and engage in other natural behaviors,” he said, noting that McDonald’s has already switched to cage-free eggs in Europe. Mercy for Animals conducted its investigation from 23 May to 1 Aug, Rice said. The group got its people hired at the farms and sent them in wired with hidden cameras, he said. They “documented daily abuses that would shock and horrify most Americans yet are largely considered standard and acceptable to the egg industry,” he added. Email “Mc Donald’s drops US egg supplier over cruelty charges after shocking video”. Feedback on “Mc Donald’s drops US egg supplier over cruelty charges after shocking video”.